It’s been a long time since I’ve baked bread using no implements but my hands, a wooden spoon, and an oven. That's because marvelous inventions over the last few decades mechanized home bread baking. Appliances such as the KitchenAid mixer with its dough hook, and other countless versions of bread baking machines, took the muscle out of baking bread, and I believe, much of the joy. After having used these inventions for many years, I am now afraid I may have lost the ability to make an exquisite loaf of bread the old-fashioned way, even though I try to assure myself that I couldn't possibly have forgotten how — just as they say you never forget how to ride a bike. You can find the full version in "The All New Fannie Farmer Boston Cooking School Cookbook." Add 1 package yeast to 1/2 cup of 110 degree F water and let stand 5 minutes, then stir to dissolve. In a large bowl, mix 2 tablespoons butter, 2 tablespoons sugar, 1 tablespoon salt, 1 cup boiling water, and 1 cup milk. When butter is melted and liquid is lukewarm, add the dissolved yeast and stir. Add 3 cups of all-purpose flour. Beat vigorously. Add 3 more cups of flour and mix well. Ff the dough still sticks to the bowl, add a little more flour. Turn out onto a floured board and knead for 10 minutes, working in more flour, if needed, so that the dough doesn't stick to your hands. Place kneaded dough into a greased bowl. Cover with a damp cloth, and let rise in a warm place for an hour or more. When about double in bulk, punch down, divide into two balls, knead again, and shape into loaves. Place loaves in greased metal bread pans and cover. Let rise again for about an hour. Bake in a pre-heated 400 degree F oven for 40 minutes. Finding a place for the bread to rise can be a challenge. My house is cold in the winter, even with the heat turned up, because it is built on a concrete slab. The chill from the ground permeates even the sofa and the bed. Years ago, in my bread-baking prime, I had a gas stove with a pilot light. The pilot light provided the perfect warmth for the bread to rise in the oven, no matter the season. Here and now, my stove is electric, and its oven is as cold as the walls that seemingly protect it from the icy winter air. I have to be innovative. I boil water on the stove and pour it into shallow pans which I place in the oven on a low rack. Then I place the kneaded dough in its bowl onto an upper rack. Hopefully, the water pans will let the dough reach about 80 degrees F, the ideal temperature for yeast to work. Now, it’s warmer in the oven than it is in the house, and for that, I am grateful. The first rising goes well. The dough has doubled in bulk and I can smell the working yeast. I punch the dough down, and my hands tell me the dough has risen perfectly. I pull the dough apart into two balls, knead each ball, shape it, and place it in a greased pan. I refill the oven water pans with warm water, place the bread pans in the oven, and the second rising begins. An hour later, the bread is baking in the oven. It is looking fabulous. It reminds me of those long ago days of making rye, pumpernickel, whole wheat, challah, and monkey breads. I feel balanced. I say to myself, I wish I had my Schwinn. I would be too big for it now, of course, but wouldn’t it be grand? It is seriously smelling like fresh bread in here. The baking has 20 minutes to go. 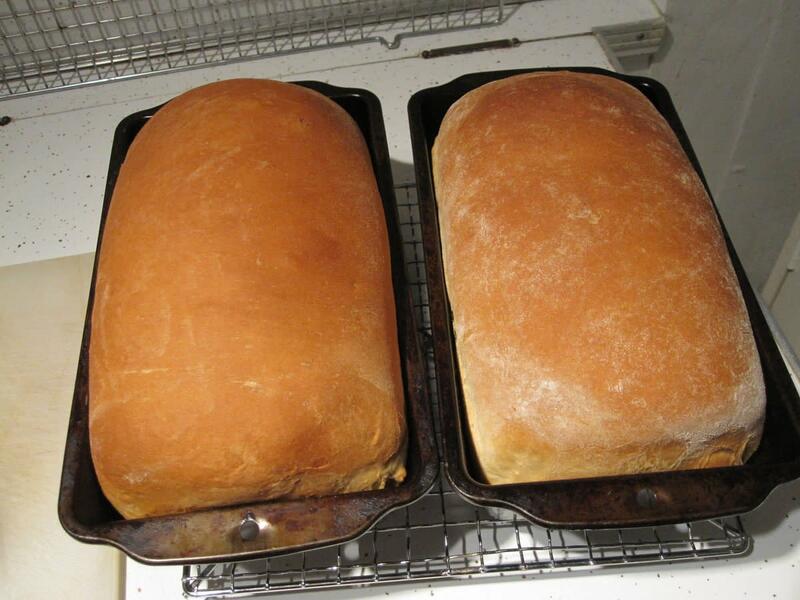 I turn on the oven light, and I see two magnificent loaves of bread reaching their perfection. In 20 minutes more, I will tap their tops to see if they are done. 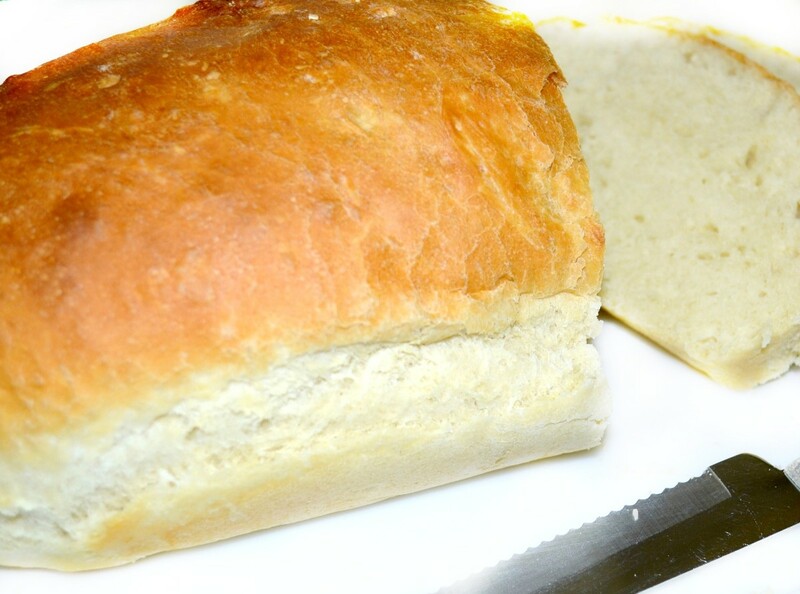 When you tap the top of a loaf of well-done bread, you get a hollow but rich and strong sound. Others have described it better than I. For now, you just have to take my word for it and also try it for yourself. Did I Forget How to Use My Hands? I succumbed to modernization a number of years ago when my daughter was young, and I began to bake bread for a small home business. My father-in-law bought me the most magnificent time saver in the world: the KitchenAid mixer. There wasn't (and still isn't) anything that machine can't do. It kneads bread, grinds meats, slices and dices vegetables, makes ice cream and pasta, and more. I used it then to mix and knead big batches of white bread, rye bread, whole wheat bread, cinnamon raisin bread, challah, pumpernickel, monkey bread, sour dough, and, well, I forget the others. It was a long time ago. Later in my life, after my daughter was on her own, I started traveling for my job. Being away from home for three to five days a week, I seldom used the KitchenAid for an inspired cooking session of any kind. Then, bread was in my house only by the graces of the bakery. 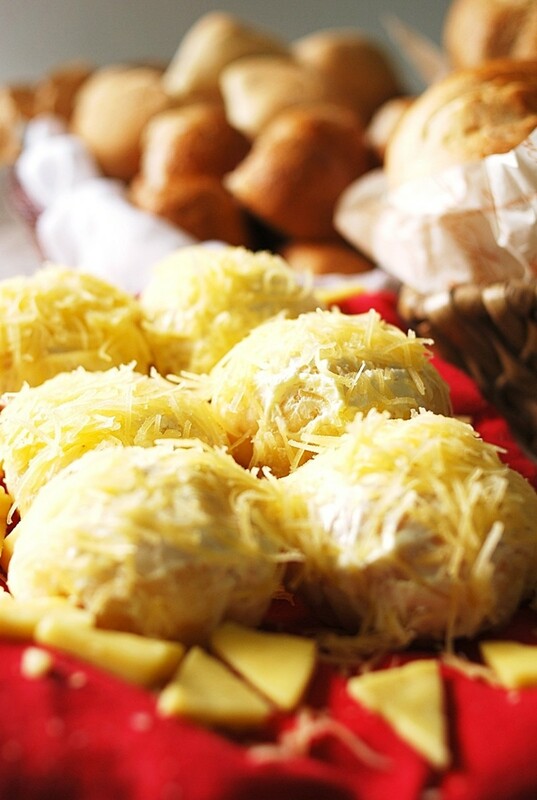 But my mother missed my homemade breads, and gifted me with a newfangled bread baking machine, which I loved. But, unlike the KitchenAid, the bread baking machine malfunctioned after a few years, and I was back to the bakery. 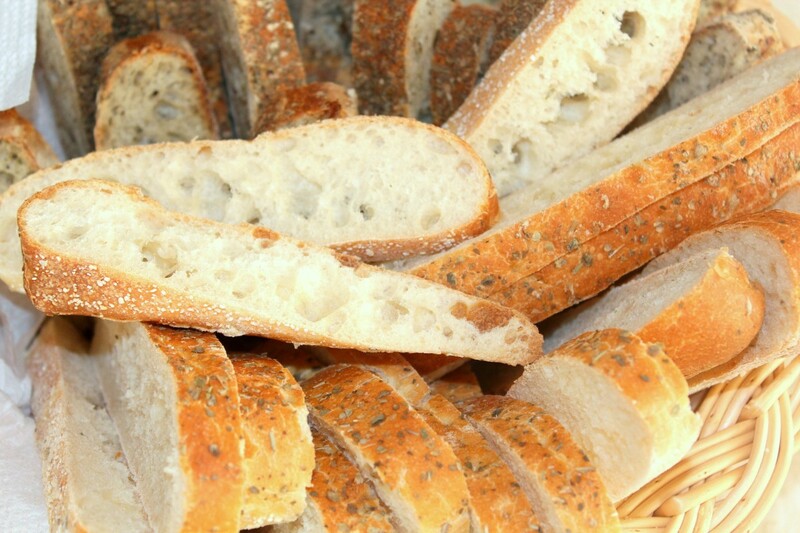 Even though I found a number of store-bought breads I liked, I eventually tired of them. I now longed for the old-fashioned breads I used to make by hand. I missed the smell of yeast as it awakens and the fragrance of a fresh loaf pulled from the oven. I missed the rhythmic motion of kneading, letting my mind go free as my hands sank into, pushed, and turned the warm raw dough. Odd as it may seem, I even missed cleaning up the mess that homemade bread baking always leaves behind. A few days ago, I decided it was time to get back to basics. I bought yeast and eggs. I had butter, flour, salt, and sugar on hand, and there was no store-bought bread in the house to fall back on. I was ready! But, I wasn't quite ready. Fear washed over me as I doubted my ability to pull this off. It had been such a long time. What if I kill the yeast with water that's too hot? What if I've forgotten the feel of dough when it is at just the right consistency for shaping and baking? What if, in this cold and dank season, I can’t find a warm place for the yeast to work? What if my timing's wrong? What if, what if, what if? I faced my fear with the idea that baking the perfect loaf of bread is like riding a bicycle. You never forget the feel of the balance. My Raleigh ten-speed is in my garage, not ridden for 12 years. I know that if I take it out of there and get on (given that the wheels, gears, and chains are in good condition), I will sail. So, I ventured out to bake my bread, just as I had ventured out to ride my black and chrome Schwinn Streamliner as a child when my Uncle Al ran beside me to help me balance on my own. I trusted him and learned to ride. I remember how good he was to me, and his memory will be warm in my heart in the act of baking this bread. Now, I feel as though I am holding his hand, trusting myself to resurrect the feel and the balance of creating a loaf of bread with my own hands. What I haven't told you yet is that I am writing these words as this celebratory batch of bread is in the making. If you bake bread by hand, then you know it's a five or more hour process with lots of wait time in between. I am taking the wait time to write my thoughts. You will be with me as the bread succeeds or fails. The bread is perfect. I turn the loaves out of their pans. I take one loaf and sliced off a hot heel. I buttered it, jammed it into my mouth, and took the dog for a walk in the ice. When we came back indoors, the aroma of freshly baked bread nearly made me cry for joy. I gave the dog a piece with butter and gave myself another piece with butter and homemade wineberry preserves. We are happy. Indeed, baking this bread was like getting back on the bicycle. Nothing was forgotten and nothing was lost. When it’s in your heart, soul, and memory, it can’t be lost. I have yet to get back on that Raleigh. But maybe I’ll put it up for sale on eBay instead. Afterall, one good outcome does not mean another is blowing in the same breeze. I wanted to bake bread, but I don’t really want to get back on my bike, even though I know I can. I just needed the memory of my Uncle Al and the Schwinn to get me past my fears. My family taught me well about cooking and food. However, none of my family taught me how to bake bread. I learned how to bake bread from a special friend, Cheryl, and from Fannie Farmer. Cheryl’s secret of success was wine, and plenty of it, consumed with gusto during the five hours it takes to make two loaves. I swear, she was the best bread baking teacher. She told me the wine made her hands stronger, and therefore the bread lighter. As for Fannie, well, she’s just plain brilliant. You can’t go wrong when you follow her recipes and baking methods. All of the bread recipes I developed in my early years have their roots in Cheryl’s light, assured, and bubbly style and in Fannie’s basic white bread recipe. Thanks, METPRP. I thought you'd like this one. I will just say I loved it and say no more! Because I have made bread by hand and butter too! Had one of those new fangled Bread Machines too! Granny's House, you indeed know how to ride a bicycle! Thank you so much for reading and commenting. Sally, this is how I bread. I make bread every year to give out in Christmas gift bags. Everyone loves it. Me too. Lamme and ugina, thank you so much for your kind words. The only really critical element of bread baking is making sure you don't kill the yeast with water that's too hot, or impede its growth in the dough by keeping it in an area too cold. My personal test for the warm water is, if I can put my finger slowly into the water and not feel the water touch my finger at all, or feel that the water is just slightly warm to the touch, then the temperature is right. Ugina, just jump right in and have a good time! 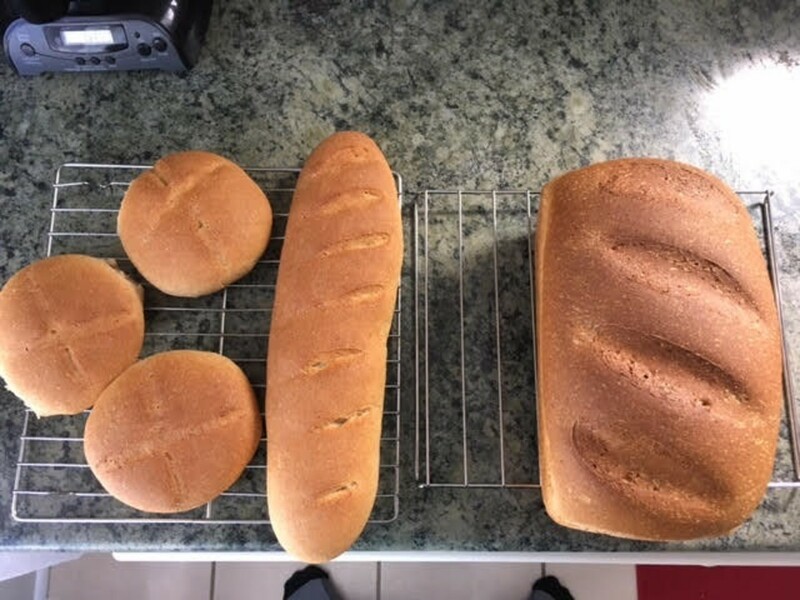 Thanks for your wonderful bread recipe. I have always tried to make bread but without much success. I will give yours a try. Your other hubs are great too. 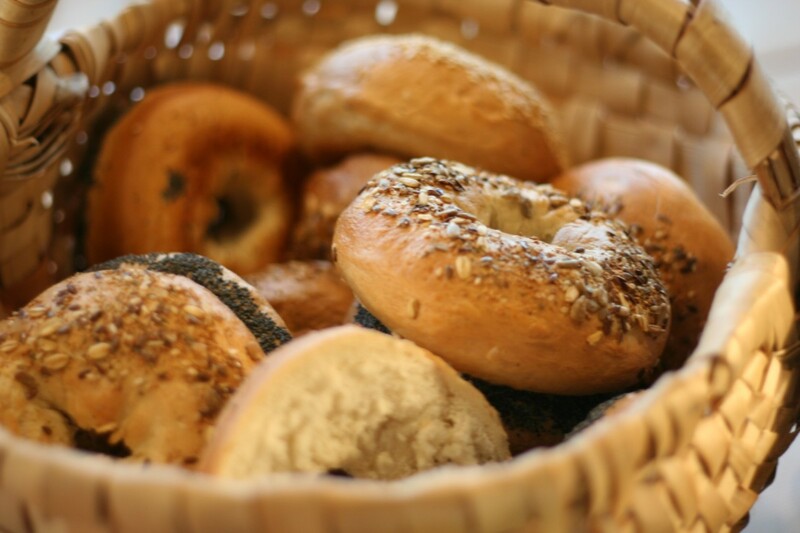 Your wonderful hub caught my attention because I just published one on bread baking. I love the way you put this hub together, it was such a pleasure to read. I love making bread too ... there's something so relaxing and therapeutic about it. Great job on your hub. Hey Micky, thanks for the good words. That bicycle sure was a classic. I "handed it down" to a young cousin years and years ago, and what ever happened to it, I don't know. For sure, it is still alive and well in my memory. I love bread but I really love the bicycle! Thanks for a great hub! You are so right, there is nothing like fresh bread made in your own oven. I think bread made this way may taste especially good since you've been smelling the beautiful yeast aroma for five hours before you get to put a slice in your mouth. By then, the tongue has been thoroughly primed! There is nothing like the KitchenAid. During the time I was baking so much bread, a neighbor invited me to bake my bread in her pizza restaurant, where they had an industrial-sized KitchenAid. The stainless steel bowl on that machine was big enough to sit in! Unfortunately, I just didn't have the desire to market all the loaves I could make, and had to turn down her generous offer. It's a cold night tonight, with more snow on the way. I'm wishing you a yeastily fragrant kitchen! Of course right this minute - I want a piece of freshly baked bread - there was nothing like it. Mmmm. The smell, the taste, the happiness - wow! But then there is never any time so yes, it is time to invest in a kitchen aid to help - like the KitchenAid. It is just so hard to eat that bread in the supermarket - I've given it up years ago. Even going into a bakery - it is just not as good. OK - it's time to bake some real bread! Thanks for a lovely hub that brings up a lot of tasty memories! You are sooo right. Now-a-days we all seem to be afraid to get our hands or our kitchens dirty. Everyone is using pre-made and pre-packaged. I myself have never tried to bake my own bread the old-fashioned way but thanks to your courage, I'm about to make my first attempt! You bet it counts! It beats the store-bought 20 times over. Thanks so much for your comment, AEvans. Early childhood development. I think you have something there, especially from your perspective in therapeutic riding. I'll have to think a little more about the connection, but it may have something to do with what parents don't remember about how their children learned from day-to-day things, without the parents making a conscious effort to teach. Awwwww... shucks. It was the potential for guidance, and the fact that your kitchen was cleaner than mine, that drew me in. I've had a wonderful day sharing what I made with everyone at work. Thank you for lending me your kitchen, and for making baking part of my early childhood development! LOVE YOU! Robie2, thank you so much for your comment. I hope the bread I make is "fabulouw", too. Love the new and exciting word! I am happy to say that my daughter came over here yesterday and baked two kinds of Irish soda bread and a Jewish apple cake, without my help, although I think that's why she was here, maybe thinking she needed a little guidance. When all baked goods came out awesomely, she said to me, "You know, baking these things I think old memories came back of my helping you in the kitchen when I was little." All I said to her was, "It's all there in your head, even if you don't know it." It was a grand day. She showed her balance, too. Well I finally got here and read this hub and was it ever worth it. Somehow, you managed to put into words, the organic, relationship of bread to breadmaker and the intimacy of the process. I don't know how you did it but it is fabulous writing and I bet the bread you make is fabulouw too. Have a go at it. It's fun, the kitchen smells great, and your hands and arms get a nice workout. Thanks so much for your neat comment! I've never baked my own bread! But now that I have read your Hub, I might give it a go. I'm glad this Hub inspired. 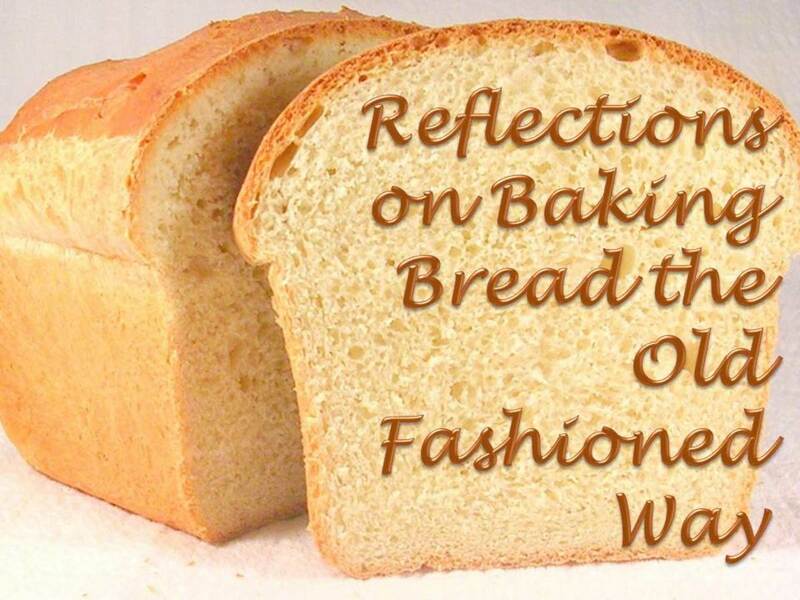 Cheers to bread baking, the old fashioned way! Oh Sally - you took me back in time, bless you! I went through this hub and the smell of bread baking in those old iron stove ovens when I was a child came back! It's inspired me to bake some bread the old fashioned way one of these days! Hi Amanda! 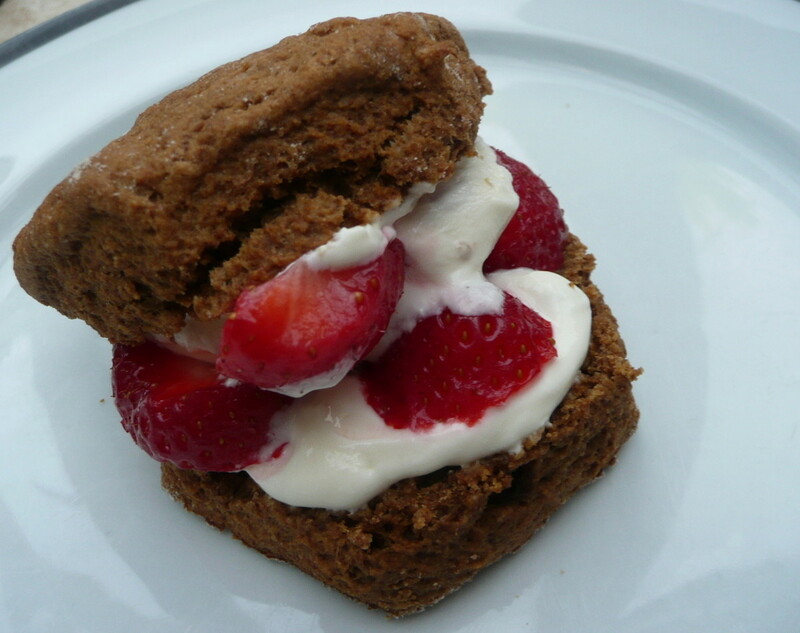 I have never baked with spelt flour, but I am going to try it now that I've read your comment. You know we folks across the pond don't always keep to the good practices of our ancestors, so spelt flour here is not as common as it is for you there, although that is changing...slowly. Your memories brought back more of mine. When my daughter was little, she loved to make "pigs in the poke" from left over pie dough, pressing out the scraps and spreading them with jam or butter, cinnamon, and sugar, then rolling them up and baking them. Those were the days *sigh*. Tom, I'm so glad you find this Hub inspiring and I wish you good luck on your next bread adventure. I've been baking up a storm since I wrote this Hub, and while each batch has been delicious, each has also had its pluses and minuses. Like anything else, though, the end result gets better and better the more you engage in the process. Pretty soon, I should be able to pull off some dramatic "wheelies" in the bread world. Thanks for your good words! Oh home-made bread Sally! There's nothing like it. I used to bake my own quite often when the children were smaller. I would make a big batch of dough, then let them shape it up into love knots, mini cottage loaves, plaits, and other less identifiable shapes. They were always keen to eat the end product. More recently I've discovered spelt flour, and I find that it makes for an easier time kneading and a quicker rising time if you mix it 50:50 with regular bread flour. Sadly I don't get to bake anywhere near so much though, because I'm working more, and have less time at home. Great memories though. Thanks for the memories of my own childhood and the delicious smells and tastes thereof. My first attempt at homemade bread sans machine was less than wonderful, but you have inspired me to try again. Thank you so much for your thoughtful and empathetic comment, RGraf. The most helpful thing I can say about fear of bread baking is that the mechanics of it really do come back to you, like riding a bike, that is, if you've done both at some point in your life. If you haven't, then take heart in shawna.wilson's comment above about baking bread for the first time. As for time, yes, it is time consuming. Interestingly, since I wrote this Hub, I've made a commitment to bake bread at least once a week. I now consider it relaxation therapy. That is, instead of zoning out on a TV program or a radio show (good for me for mind-numbing relaxation), I'm baking bread. Maybe a Hub on the therapeutic value of baking bread is in the offing. Thanks again for your great comment. I envy you. I wish I had the patience to do this also. But alas, the fear and the time. Thanks for the good words, MRS GC. :) Your pretzel recipe looks fantastic, but I have yet to try it. I'll get there! What a magnificent bread story. I love cooking and baking as well. And as you, when I have the time, I much rather do things the old fashion way. The pretzel recipe I have shared is really best made by hand, and it is so easy. I would love to try out some of your bread recipes...can't wait to hear more!!! yxhuang, that is so cool that you compared bread making to creating a work of art. I believe that is so. You start with skill and medium, a vision, and then the execution is really quite right-brained. You are focused only on the task at hand and only in a relaxing, meditative way. The mind is quiet and open. Baking bread feels, to me, much like the state of mind that accompanies drawing or painting. Hi! Sally. I used to have that bread baking machine what you've mentioned in this hub and it was broken after over a year of purchasing (which the warranty was expired.). Since then I've never baked homemade bread anymore. Traditional bread baking takes too much time which I can use the same time to fix a Chinese banquet of 4 dishes plus soup. It must be delicious using such time and strength to bake a loft of bread. By reading this hub I can see that you are making a bread like doing an art work, should be really tasty. Pam, about muscle memory...We have memory cells all over our bodies. If you ever played a musical instrument, you know what I mean. The first instrument I learned to play was guitar, which I haven't picked up in 10 years, but I know my fingers will pick those old strums with the right hand, and the left hand will find the frets. The second was the piano. I practiced for years (and was never much good, like I wasn't much good on the guitar either), but now and then I went back to the piano and I found about a half dozen Christmas carols and a dozen more practice pieces that were "under my fingers". Musicians know that memory is in the fingers as well as in the brain. So we as a human life form are not brain-centric. Your son's coach is right: the ability to remember belongs to all of the body. Getting back into the bread rhythm was the proof in the putting. Thank you so much for sharing. You're right Sally, we're basically nothing without our memories whether we have complete access to them all the time or not. And another interesting thing that I believe is connected to the dough kneading process and riding a bicycle is muscle memory. I never knew this was even possible until my son went to baseball camp many years ago. The coach would have the boys do a repetitive motion over and over, like swinging a bat, and he would tell them that doing this builds muscle memory. You literally build a memory of specific motions within your muscles. Perhaps this is why, after a little practice, you reach a point in the bread making process where you know the dough is ready while you knead because of how it feels. Pam, thank you so much for your thoughtful comments. Indeed, what are we without our memories? They shape our daily lives, whether we are conscious of that shaping or not. Isn't it interesting that it takes no active effort at all to store a memory (of course, there is deliberate memorization, but that's not what I'm thinking about), and once stored, a memory is always there, whether we know how to retrieve it or not. I love that little King Arthur clip about the yeast awakening. When I saw it, I sort of smacked myself in the head, an Aha! moment, and saw in my mind the difference between waking a child with a patient soft stroke of the cheek as opposed to barging into a bedroom and shaking a child by the shoulders. Funny, thinking about yeast that way. But it's a powerful thought. I've always believed that food is much better when you make it in a state of peace and relaxation. King Arthur apparently supports that idea! As for being my number two fan, I am honored by this. But maybe you should just nudge Christoph a bit and make him share. :) I can have two number ones, can't I? Sally, this hub is marvelous. While taking us on a bread making journey, you send a powerful message about how our memories are forever imprinted on our souls. This is what makes you so incredible. I felt like I was right there with you! There is nothing better than smelling "yeast awakening" and fresh bread baking. :) Now I have to make some myself. Thanks for including a recipe! I love soda bread, haven't made it in years, but feel more confident about it than I did about the yeast bread. Now, why didn't I think about using "loaf around" in my Hub?? This brought back wonderful aromatic memories. My Aunts were soda bread people, which produced tender yet rough textures in their breads....but my grandmother and the aunt from the farm were yeast bread women. OH, Loved both kinds and with melted butter - home churned in most cases, it was heaven on earth. The days of riding bikes gave me lots of time to smell enticing aromas from neighborhood cooking; thanks for this delicious time travel! Zsuzsy, thanks so much for adding your comments and sharing your rising methods. The care and feeding of yeast during the bread-making process is probably a Hub in itself. You bet, there's nothing quite like the smell of baking bread. Warm regards, Sally. Sally! I'm a sucker for bread (my vice I'm afraid) So I make bread from scratch twice a week. Even though I have a big mixer with bread hook and a bread machine I love to make it from scratch. I warm up my oven for a couple of minutes and add a bowl of boiling water before placing the bread in the oven for risings. The water that I add to the flour is also a "control button" If its cold in the house I add warm water and if its hot and humid in the summer I add cold water. Shawna, I am delighted for you! You have just taken your first solo ride and found your balance. Since the bread turned out well, now you know the feel of things as you go through the process, and you will never forget. Just an extra note about the water pans, they add moisture as well, and that's a good thing. G-Ma, I always love your warm and cheerful comments. They never fail to put a smile on my face! How about those Raleighs? What wonderful bikes. When I first bought mine, I lived about 4 miles from work, and those miles were all uphill. Needless to say, I enjoyed the ride at the end of the work day a lot more than the one at the beginning. I never used my bread machine the way you do...when I was so busy in those years, I just let it do everything all the time. Maybe I burned it out prematurely. Annemaeve, I am delighted that you remember the sour dough. The starter came from the Weirs, and I kept it going for many years. 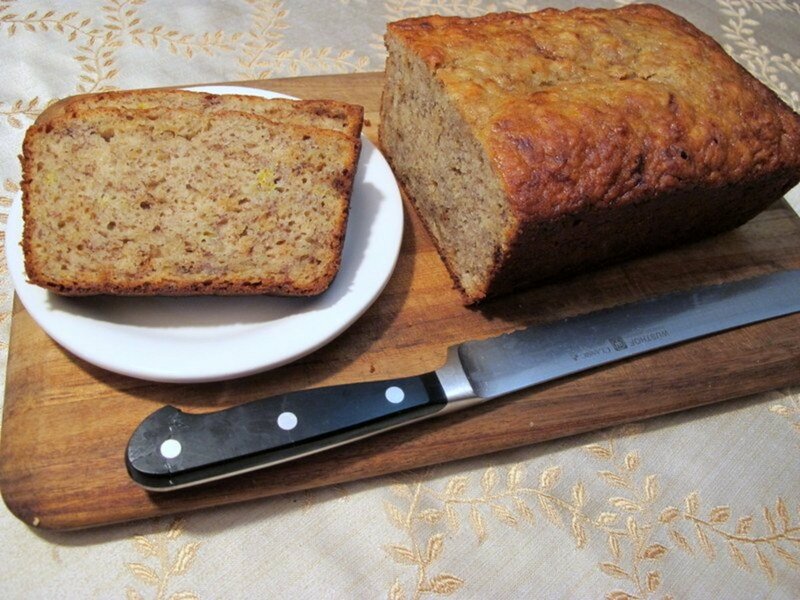 It was a sweet rather than a tangy sour dough, and very much like the Amish Friendship Bread starter. Oh boy, oh boy. Sally, your hub brought back so many memories! My brain is now stuck on the sinful sweet smell of age-old sourdough curing in a pottery bowl in the fridge... mmmm! As always, your writing stirs my heart. I love you, and I'm coming to get my bread now! Trish, sorry to say, there will probably be no bread left. Anne's picking up her loaf tonight, and I've already eaten three-quarters of the other loaf. Cinnamon has had only one little sampling. I have been the pig. I am intrigued by your *esoteric* comment. I may be reading into this part of your comment, but I have the feeling that you approach tasks in your life with an attitude something like, *...here it is, I like it, let's do it. * And it gets done, whatever it is. Whereas I, perfectionist and maybe even OCD sufferer to boot, say, *...here it is, let's think about it. Do I have what I need to do it? Could it be done in a way that's better than what I'm thinking? Let's research that. Oh, and dream about it, too. * And pitifully little gets done. Challah and pastrami, you know that combo is a heart attack on a plate. But where else can you get it but in the big apple? Maybe you will write a Hub on your bread-baking adventures? I love the foccacia for pizza idea. I know you are my Undisputed Number One Fan. NOBODY has ever quit my fan club and re-upped with vows. You rock. FP, I think you are anticipating a visit this way. When you get here, we will have to bake more bread, because what I baked today will be gone by then. In fact, it's almost gone now. Plus, I think we will need some greens to balance out all the carbs between the bread and the pie. I hope you have something in your back pocket for a balancing salad! See you soon. Please, I love Cinnamon, but I'm stingy when it comes to bread LOL,,keeping my fingers crossed there will be at least one piece left waiting for me. Ahhh...another gem to add to your trove of delicious memories. On occasion, I bake bread and you describe it in a way I could not, esoteric for its creator but to be shared with friends and loved ones. I have never known any way but the "by-hand" way and, for a neophyte, have had remarkable luck. I eagerly await your next offering with an anticipation normally reserved for...well...waiting for fresh bread from the oven with only 5 minutes to go. Thank you. 10 years ago from here today gone tomorrow!! Sally my lovely friend, congrats on being brave and making that wonderful home made bread, now picture this, nice hot homemade bread with a lovely sheppard pie,eh what do you say!!? ?